Blu-ray rippers.com is a comprhensive shareware-supplying platform. 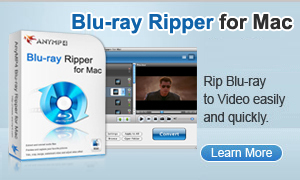 Blu-ray rippers.com keeps pace with times, updating products, their functions as well as their appearance in order to meet the different needs of numerous multimedia fans. Blu-ray rippers shows you the exciting possibilities of how software can enhance and enrich your life. We provide you with information, tools, and advice that help you decide what to buy and how to get the most out of your tech. Blu-ray rippers.com devotes to supply with Blu-ray series shareware and welcomes shareware-developers to submit software onto our site. We will supply you with excellent service and wide platform to market and promote your product sales. Our website is just being released, many parts of our site need optimized. If you have any comments about what we are offering, please email to: webmaster@bluray-rippers.com. Or if you are interested in exchanging links with us, or would like to help us with physical distribution, promotion in software compilations, or business cooperation, kindly let us know! We are open to various levels of cooperation, just please email to:webmaster@bluray-rippers.com.